One of the most popular of the culinary herbs, basil is widely used in many types of cuisine. It is most famous as the leading ingredient in pesto. Basil is most often grown as an annual preferring the warmer temperatures of summer, doing well at 70 degrees or higher. It is quite tender and will wilt quickly at the first sign of freezing temperatures. If you grow only one herb in your garden, basil is a good choice. While sweet and Genovese are probably the most common varieties of basil, they are many other wonderful variations to choose from. With sizes ranging from 8 inches to 4 feet tall, there are plenty of choices when it comes to growing basil in the garden. 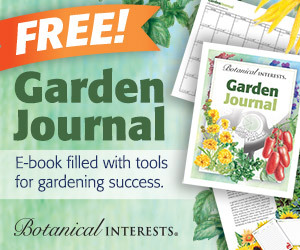 Review our list of 15 types of basil and select a new one to try in your garden this year. Sweet basil is probably the most common varieties of basil very popular in pestos, salads, and marinades. When you find basil in the grocery store, it will most often be the sweet basil variety. Sweet basil is a medium green color with a rounded cup-shaped leaf. Sweet basil has been known to repel mosquitos. Genovese is the classic Italian basil with extra-large dark green leaves. This is another excellent basil to use in pestos and Italian dishes. The leaves of Genovese are flatter than Sweet basil with a more pointed shape. Some cultivars use Sweet and Genovese basil interchangeably labeling the plant sweet Genovese basil. True Genovese has a stronger more aromatic flavor. Thai basil has smaller dark pointed leaves and boasts a spicy, licorice flavor. Asian dishes often feature Thai basil, such as Spicy Sesame Noodles or Thai Basil Chicken. Thai basil keeps its flavor at higher cooking temperatures as compared to other types of basil. Siam Queen, shown to the right is pretty in the garden with its dark purple flowers blooming at the end of the season. It’s quite spectacular when grown in large groupings. Siam Queen grows 2 feet tall and can be harvested starting at 60 days. Purple basil has a striking dark burgundy color that provides excellent contrast in the herb garden. The flavor is not as sweet as some basil varieties with a stronger clove taste. Highly aromatic, purple basil can be steeped in vinegar or oil to add beautiful color to your dishes. The Dark Opal Purple basil grows 18 inches tall. A few plants (about 20%) will be variegated or green plants creating a pretty color combination. It has large leaves that average one to 1 2/3 inches when fully grown. Dark Opal basil reaches maturity at 80 days. Lemon basil is becoming a popular basil variety and is increasingly found in local nurseries and garden centers. Lemon basil grows between 12 and 18 inches tall with lighter green leaves. Crush a leaf between your fingertips and inhale the wonderful lemony scent of this variety. There is nothing quite like fresh lemon basil. Use lemon basil in fish or poultry marinades, grilled vegetables, desserts, and teas. Lime basil has a sweet, mild but bright citrus flavor. The leaves are bright green with a narrow shape. Lime basil grows between 16 and 24 inches tall. While not quite of popular as lemon basil, some gardeners grow both together in the herb garden. The two make an excellent pair when cooking, bringing out the lemon & lime flavors for a tantalizing combination. Use it in sauces, desserts, and teas. Lettuce basil has a distinctive appearance with large, floppy wrinkled leaves. As the name implies, it works well in salads and fresh dishes. The leaves of the lettuce basil are four inches wide and between six and ten inches long. This makes it ideal for use in lettuce wraps where most other basils would be much too small. Lettuce leaf basil is an Italian basil with a mild flavor. Although the leaves are large, the plant itself is pretty compact in size. It is one of the shorter basils growing to just about a foot high. It is also slow to flower, so lasts a bit longer in the heat of the summer before going to seed. Green Ruffles Basil has curled leaves making it a lovely basil to grow in the garden. The flavor is mild and delicate is especially good in pasta dishes. The ruffled leaves also make this a great basil to use in salads. Green Ruffled Basil grows 20 to 24 inches tall. It can be harvested as early as 70 days. Holy Basil is highly fragrant with a spicy, sweet musky scent. The flavor is best when cooked since eaten raw it can be slightly bitter. Holy basil is used in Indian cuisine, especially in meat curries. Holy basil is also known as tulsi which means the incomparable one in South Asia. It is a sacred plant in Hinduism. There are many medicinal as well as religious uses for Holy Basil. Holy Basil is used to treat stomach ailments, the kidneys and promote blood circulation. Cinnamon Basil is a spicy, fragrant variety of basil. The cinnamon basil plant is pretty in the herb garden. The stems are a reddish purple color with pink flowers at maturity. Cinnamon Basil has a milder basil flavor and pairs well with fruit contributing a slight zing with the cinnamon flavor. It is also a favorite herb in Asian cooking. Use it in Asian marinades, fried rice, noodle salads or tossed with grilled vegetables. Cinnamon Basil Chutney, excellent with cheese. Serve with baked chicken or spread over crackers with a soft cheese. African Blue Basil is a tall variety growing to up to four feet tall. This basil is stunning in floral arrangements. African Blue Basil has a strong scent of peppers, cloves, mint, and camphor. Culinary uses include vegetable, rice, and meat dishes. Unlike most basil varieties, African Blue is a perennial as long as it doesn’t freeze. 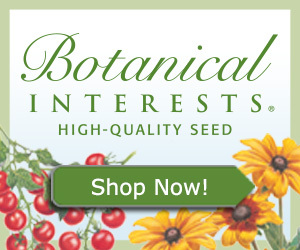 While seeds are generally not available, plants can be purchased as seedlings or via mail order. A beauty in the ornamental garden, the Cardinal Basil may be the most striking of the basil varieties. It is easily identified by its mass of tightly clustered cardinal red blooms. Growing two and a half feet tall on sturdy stems, they are a good choice for the back of the herb garden. The Cardinal Basil has a strong spicy scent which makes it a good choice in flavoring vinegar and oils. To create a mass planting, start with a packet of seeds in the spring after all danger of frost has passed. Till the ground lightly in the spring to break up any large clumps. Sprinkle seeds in the garden about six inches apart, then cover with 1/4 inch of soil. Pack the soil lightly and keep moist until seedlings emerge in 7 to 14 days. Greek basil is one of the smallest varieties growing to only 8 inches tall. It has a compact form with small pointed leaves. Greek basil is often used to spice up salads or in soups or meat dishes. A sprig of Greek basil can also make an excellent garnish. Greek basil is easy to grow in a pot. It can be enjoyed for its culinary uses or combined with ornamentals in the flower garden. It can be very attractive when located in the front of the border with other low growing plants such as pansies or violas. Spicy globe is another dwarf basil variety. True to its name it has a strong, spicy flavor with smaller leaves that are excellent served whole in soups salads and pasta. It is also called Spicy Bush Basil and forms a tight clump when growing. The shape is similar to a dwarf boxwood with a rounded top. This type of basil is an excellent choice for growing in containers. Summerlong Basil is a dwarf variety developed by Burpee Gardens. It grows in tight, compact bushes making it an ideal basil for the container herb garden. Since it is a dwarf variety, it matures earlier than most basils in just 30-60 days. Summerlong is slow to bolt which means it will last longer in the summer garden before going to seed. This is a nice all around basil, a great choice when you want a smaller variety to grow in your garden. Similar in taste to sweet basil, Summerlong can be used in pestos, sauces, and marinades. There are so many types of basil; it’s hard to choose just one. Basil is one of the most loved culinary herbs both for its easy growing nature and variety in the kitchen. Choose one or two of your favorite types so that you can experiment with the different tastes and textures. Or choose a Basil collection with a few customer favorites.